Introduced in 2009, Bitcoin has been around for eight years now. 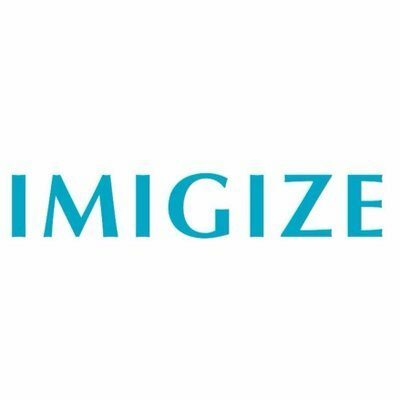 The revolutionary cryptocurrency has been slowly gaining adoption across the world. However, the cryptocurrency community remains a niche sector due to a variety of reasons. The prominent among them are the lack of awareness and understanding of how the digital currency works. The unenlightened lot has even been roped by a series of Ponzi schemes featuring shadowy Bitcoin investment plans. 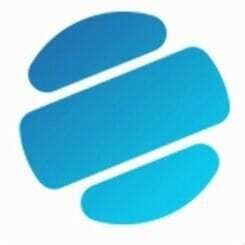 The launch of Genesis Mining as a legitimate cloud mining firm was majorly about enlightening people with Bitcoin and its innumerable benefits. 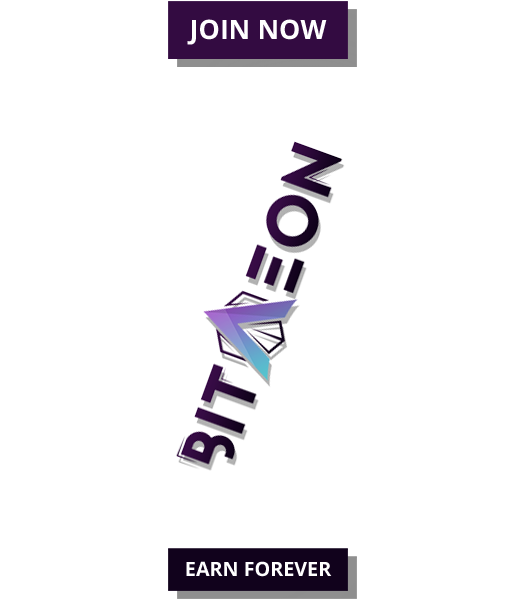 The company, which has already proven its sustainable and profitable investment model around the world, believes in the idea of smart investors, where anybody looking to explore the investment opportunities in the cryptocurrency sector, first acquire adequate knowledge about its financial and technological aspects, and thus ensure better outcomes. Genesis Mining is active in the Bitcoin community and is frequently seen at events across the world including in Paris, New Zealand, Los Angeles, New York City, Hong Kong. And now, the company has entered India with an aim to tap on to the country’s growing interests in the digital currency as the next investment haven. 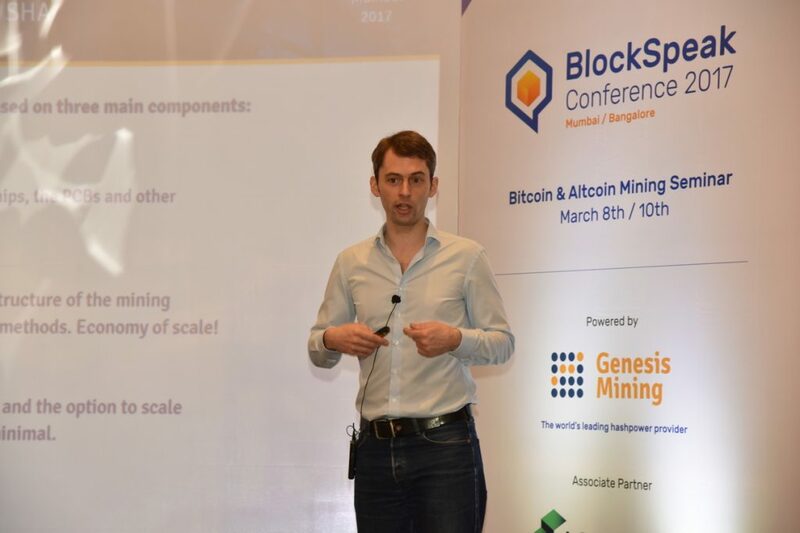 Genesis Mining recently launched its very first Bitcoin and blockchain conferences in the South Asian country. 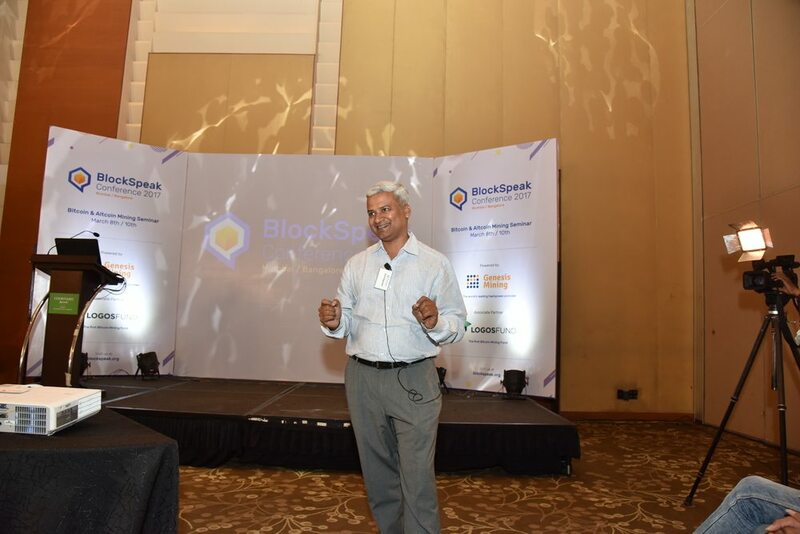 Known as BlockSpeak, the recently concluded events did an excellent job of introducing Bitcoin, blockchain and Bitcoin mining to people across two major Indian cities. The event held in Mumbai and Bangalore on March 8 and 10, 2017 respectively saw the attendance of Bitcoin entrepreneurs, techies and aspirants alike. This year’s BlockSpeak Conference was the very first edition of what is going to be a regular affair. Kicked off in India, it is set to become a series of global events held in all major cities of the world and eventually trickling down to meet rest of the places. 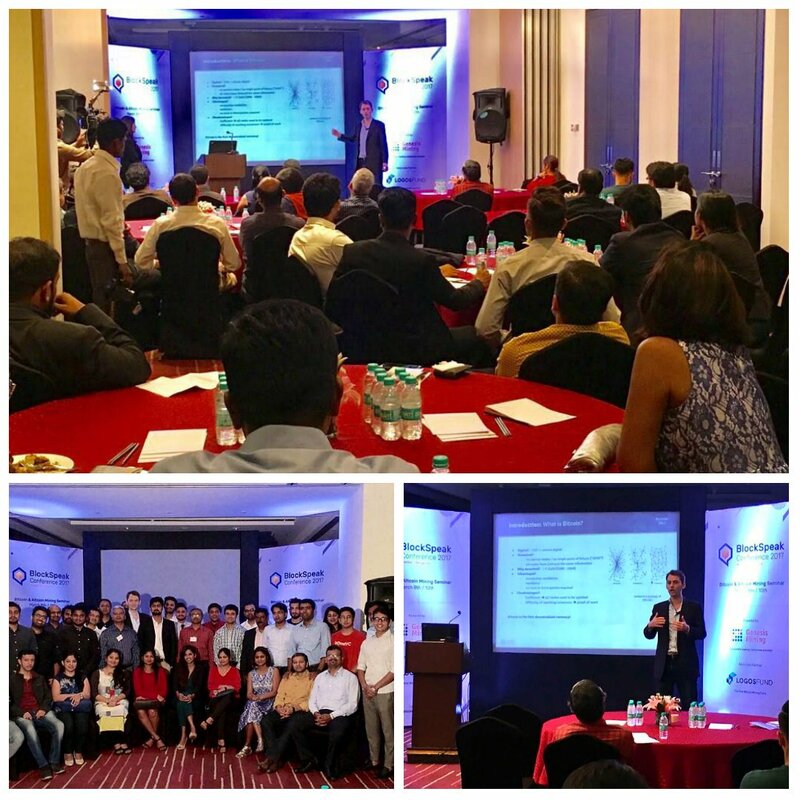 The BlockSpeak Conference 2017 in Bangalore and Mumbai, co-organized by Blackarrow Conferences, was held at JW Marriott. Dr. Marco Krohn, the Chief Financial Officer and Co-founder of Genesis Mining took everyone in the conference room through the journey of Bitcoin, explaining what the cryptocurrency really is and how it works. He went on to explain the advantages of Bitcoin and few disadvantages as well — the increased miner fees and scalability issues. He struck a delicate balance between tech jargon and real-world examples to drive the point home. Next came the evolution of Bitcoin mining, starting with CPUs and graduating to GPUs, FPGA miners and finally ASICs. Krohn offered an in-depth explanation of the mining process, its necessity and benefits. What’s the best example of an industrial scale mining operation? Yes, Genesis Mining itself. Krohn made sure that he gave the specifics of cryptocurrency mining service offered by Genesis Mining, including Bitcoin, Ethereum, Dash, Litecoin and ZCash. After Krohn’s intense, information-packed presentation, Sunil Aggarwal — the founder and CEO of MoneyFrames took the stage to explain the importance of Bitcoin and the advantages, applications of blockchain technology in today’s world. He also touched upon governmental adoption patterns globally, highlighting the cases of Russia and Japan where his lighter-veined presentation appealed to the audience, ensuring that they take away something which they can ponder over while driving back home. The Bangalore event saw representations from two of the “Big Four” Indian Bitcoin platforms – the founders of Coinsecure, Benson and Jincy Samuel along with Sathvik Vishwanath and Abhinand Kaseti— the founders of Unocoin. Marco Krohn and Ashwin Richard – heading Genesis Mining’s Business Development activities in India fielded questions from inquisitive attendees during the networking session. Among the attendees were software developers, cybersecurity specialists, educators, consultants in tech and financial sector, and students. BlockSpeak turned out to be a 2-hour crash course in cryptocurrency and mining, packed with loads of information and networking opportunities to those who are new to Bitcoin. The Genesis Mining initiative had a great start in the country, and the expectations are a bit high for the next edition. It is also a confidence booster for the company, encouraging it to organize a much bigger event next year. -With inputs from Yashu Gola.